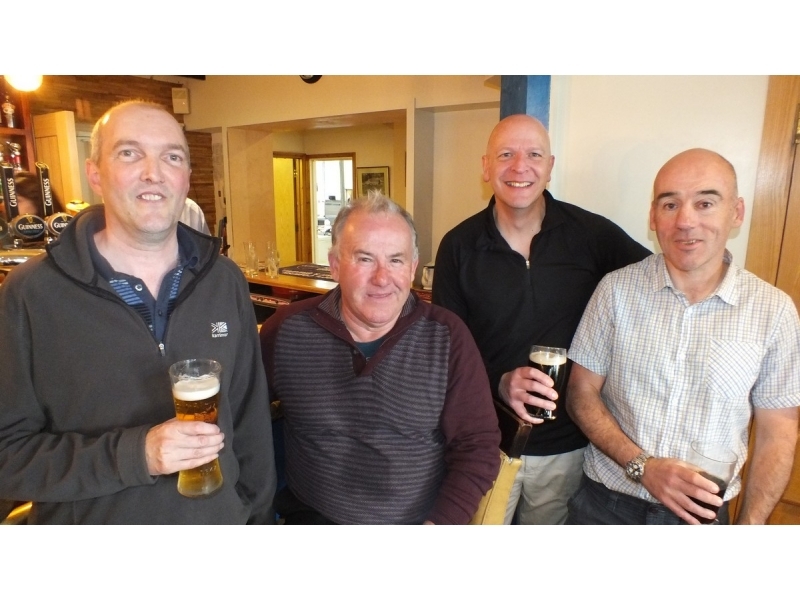 A record number of 40 teams of four entered, all generously contributing to a profit of close on £6,000. 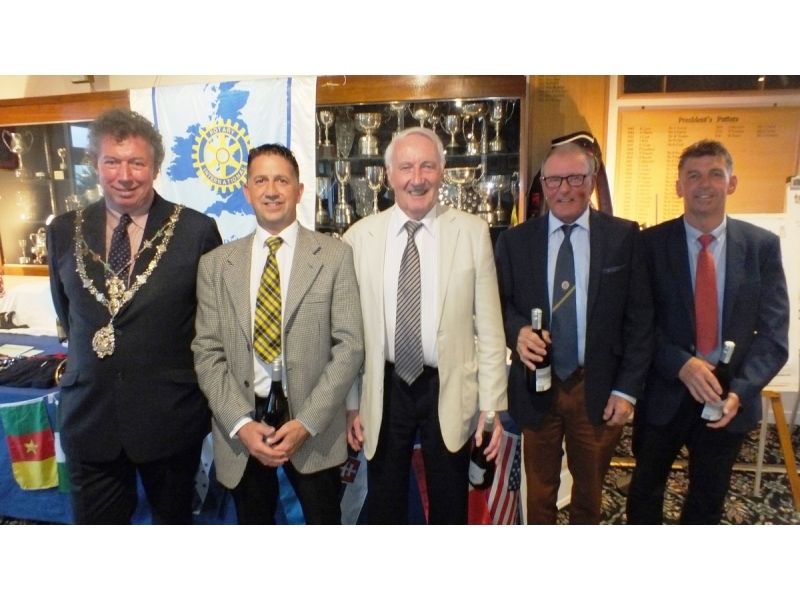 Cheques for £1,500 each were presented at the end of the day to the Mayor of Truro for his charity (ROC Wellbeing), and to the Rotary Club's charity CHICKS (Country Holidays for Inner City Kids - now known as Respite breaks for disadvantaged children). 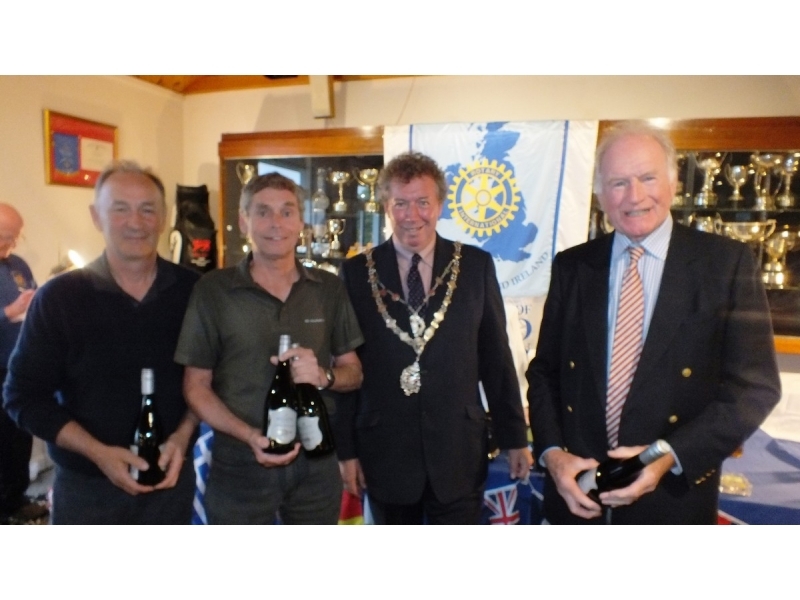 The balance will be held in the Rotary Club's Trust Fund for the time being. 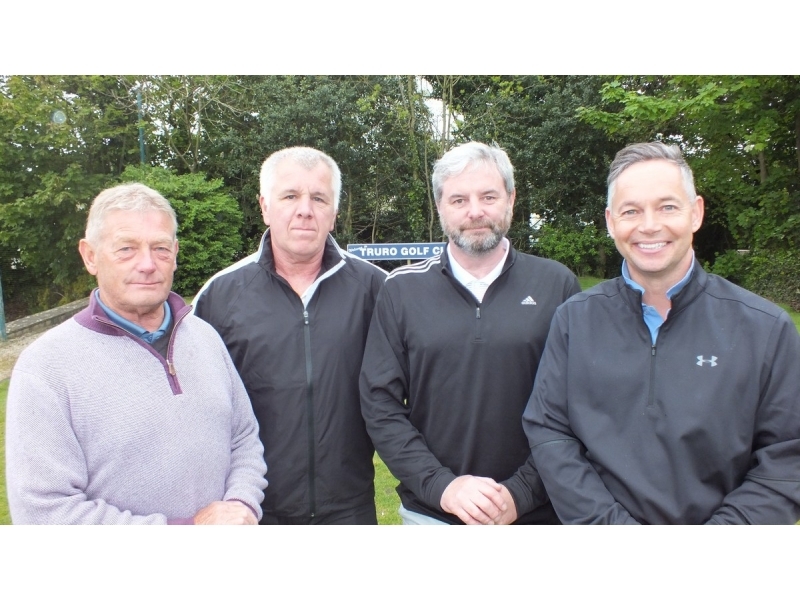 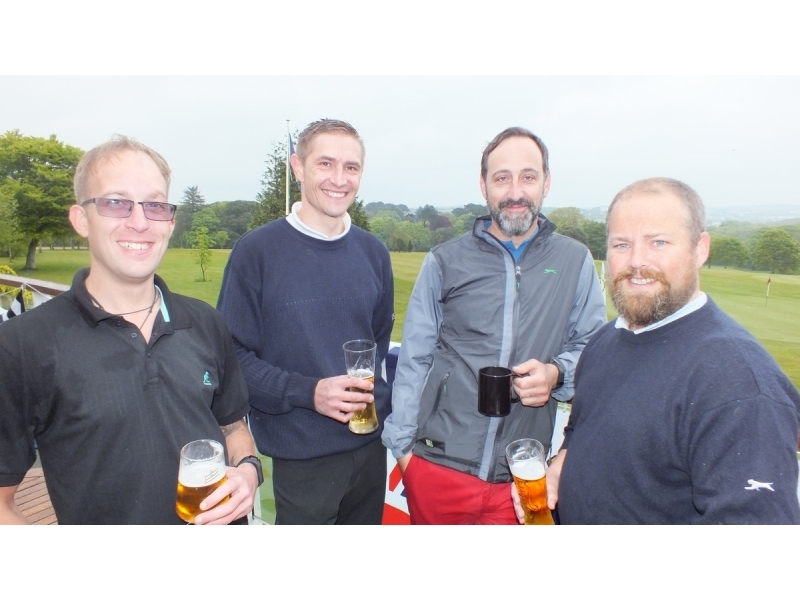 Ocean BMW Falmouth were the main sponsor once again, with the Ocean BMW trophy being presented to the winning team from Truro Golf Club's Scott Richards Professional with a score of 91 Stableford points. 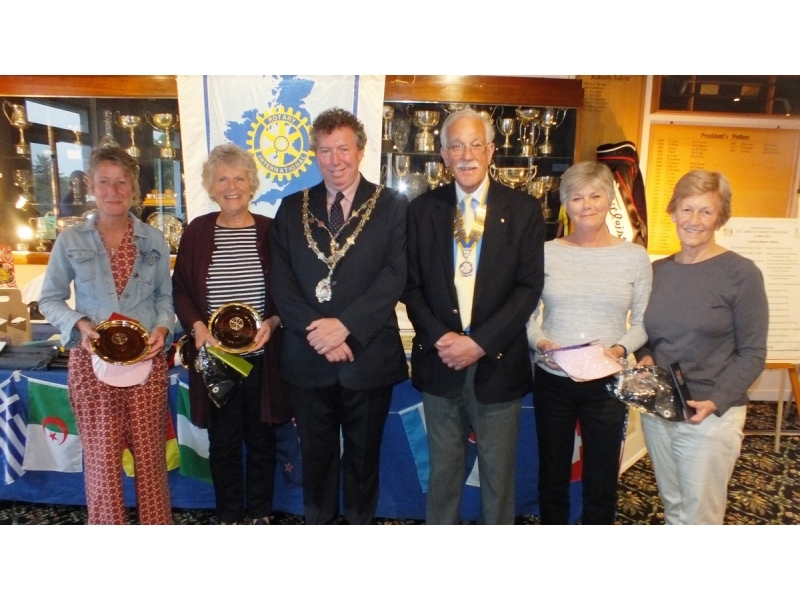 The Ladies Trophy was won by A Walk in the Park - Ann Pollard, Vicki Armstrong, Ruth Middleton, and Jean-Anne Evers. 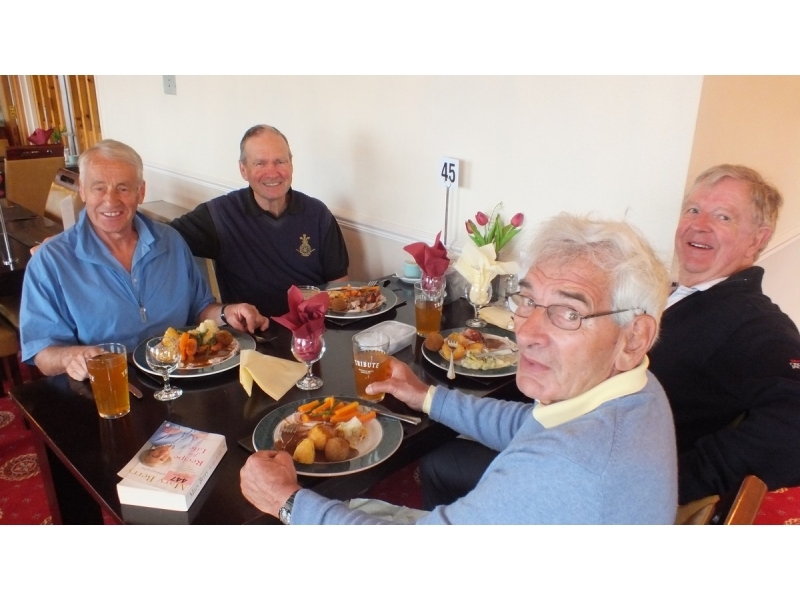 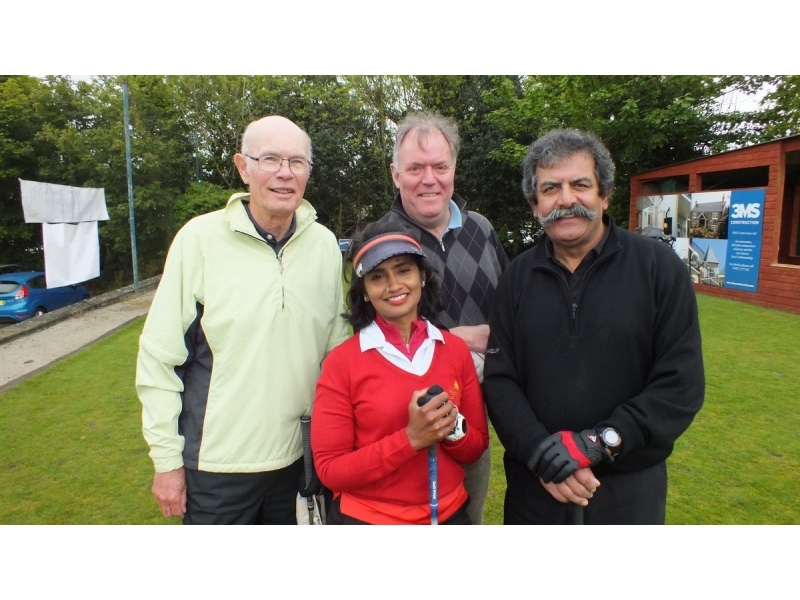 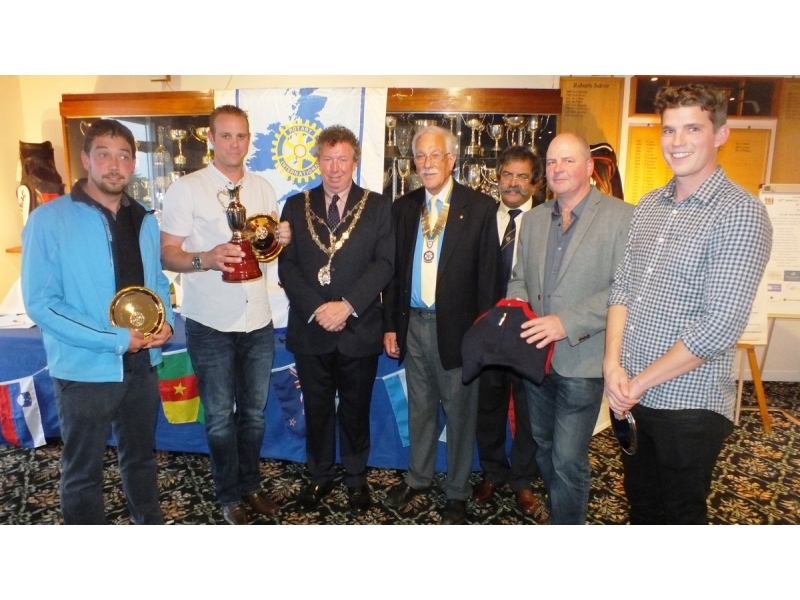 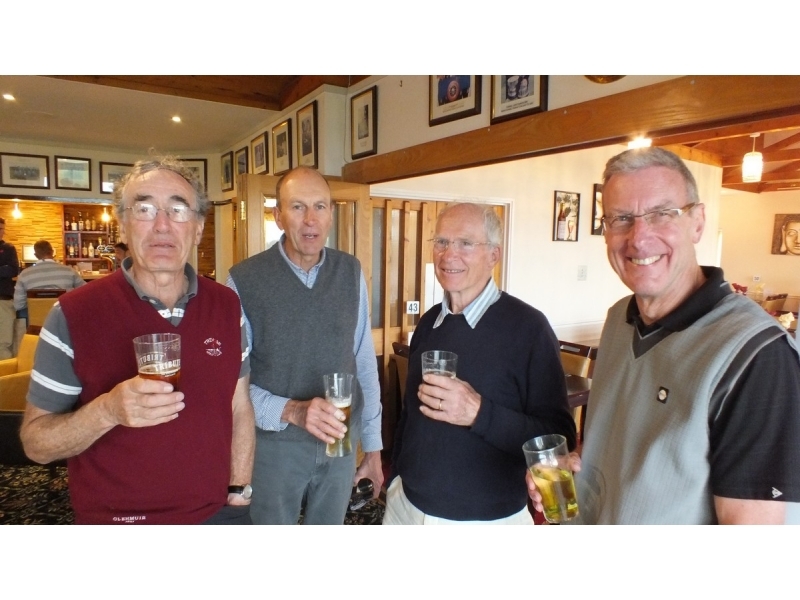 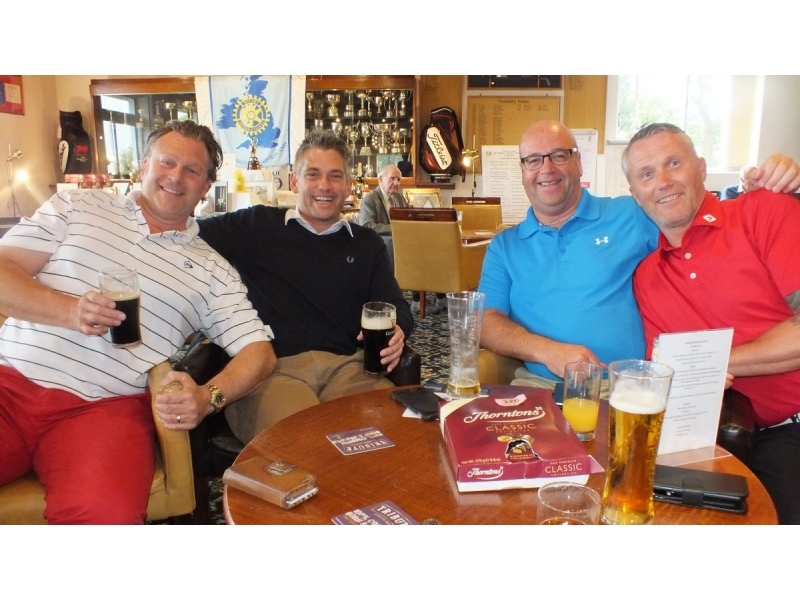 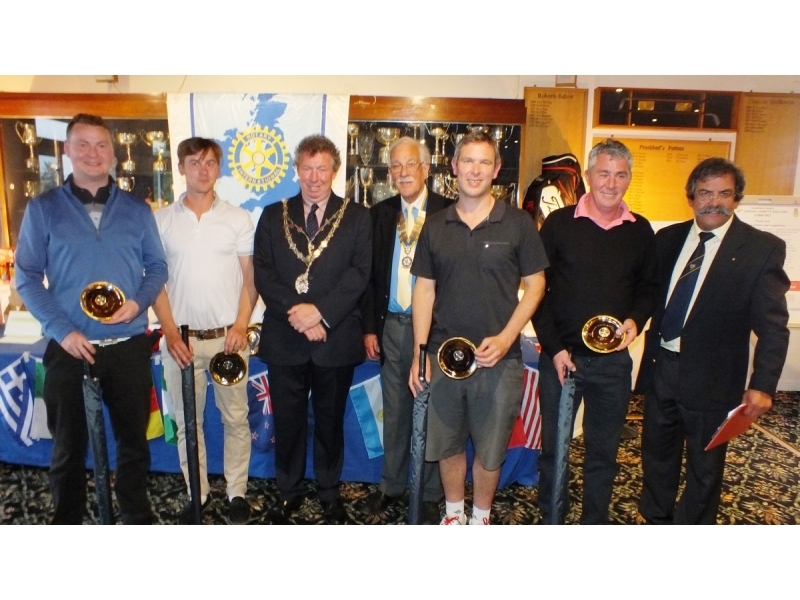 The prize for the best score with the "yellow ball" (a parallel competition) was won by long-standing friends of this event, DJ (John) Rich and friends (Clive Bicknell, Nigel Dunstan, Laurie Shepherd and founder member of the Rotary Club, Doug Richards. 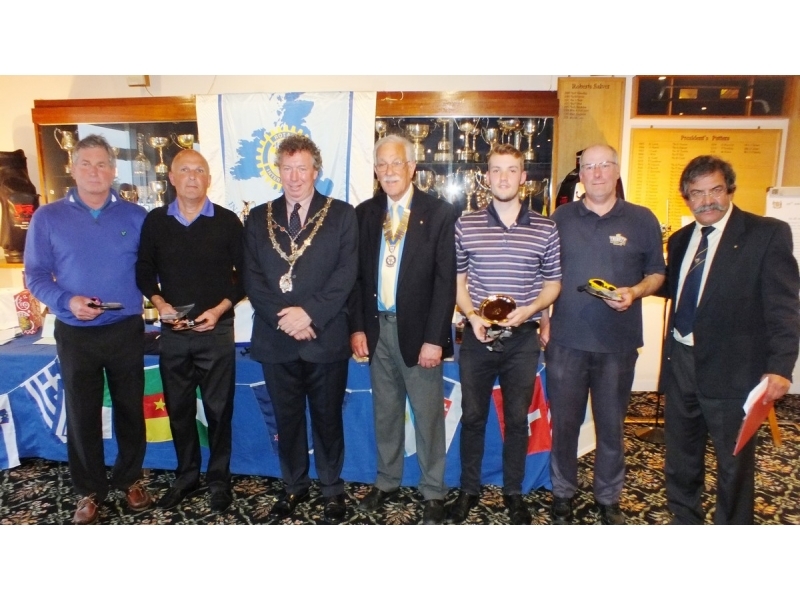 See a full list of scores and a full list of prize winners. 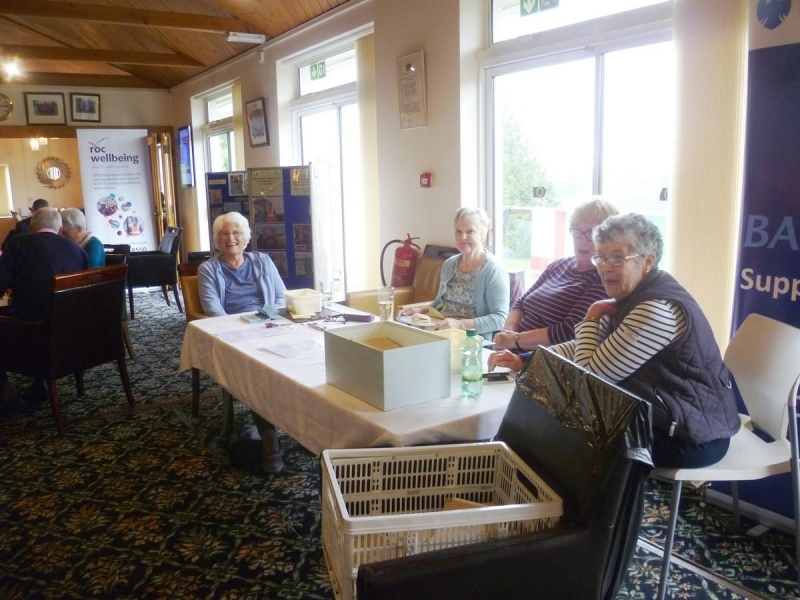 Exceptionally generous financial help also came from Barclays Bank plc, who again match-funded the proceeds of the tombola and "super draw", which this year raised the record totals of £453 and £800 respectively, thanks to massive efforts by the sales team of ladies.. 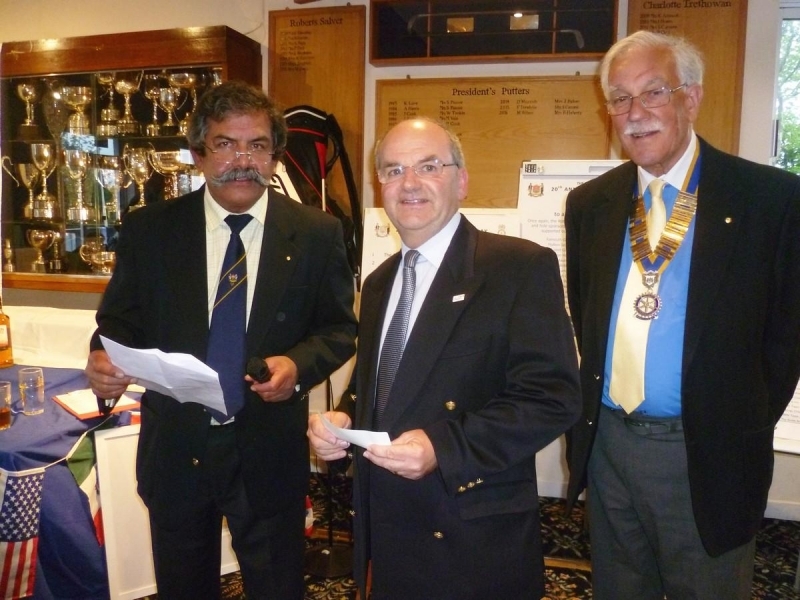 The winners in the "super draw" are listed here. 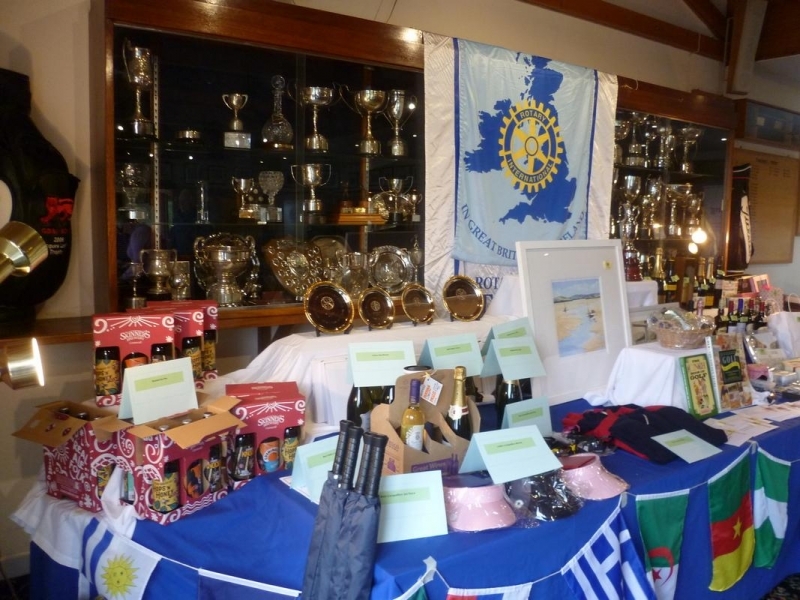 The Club is most grateful not only to the principal sponsors but also to all the companies, other supporters, and Club members, who sponsored holes, donated prizes, sold raffle tickets, and generally helped to produce such an outstanding result.